Luxurious portable folding chairs for the MGM National Harbor fill the floor at the areas premium entertainment arena. The first installation of the new Quattro Art Series at Combs High School in San Tan Valley, AZ features the Quattro Art Radius back with full reveal, standard length half wrapped end panels with aisle lights. 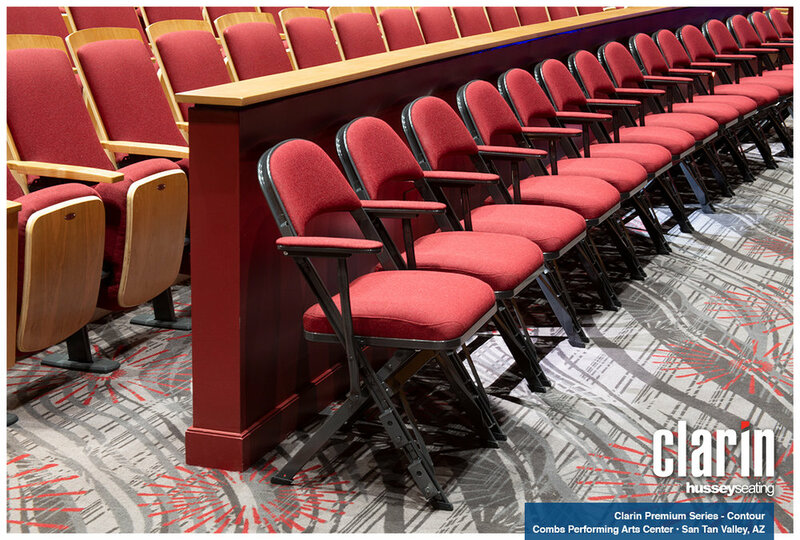 This performing arts venue used Clarin Contour portable chairs for some flexible seating options while maintaining their continuity of design.